Coffee is almost a cultural requirement and many people could not do without it. 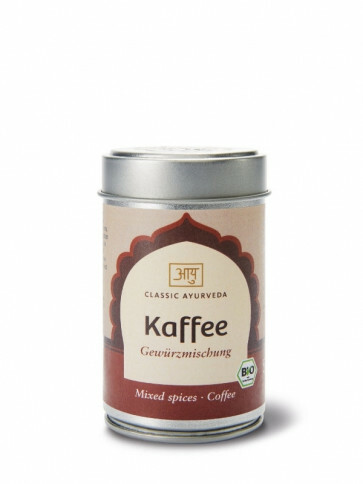 The spices are chosen to decrease acidity and make the coffee easier to digest. This spice mixture was created by the well-known ayurveda gourmet chef, Udo Schneider.